Editor's Note: The Napa County Coroner later concluded the official cause of death to be Sudden Unexpectant Infant Death. 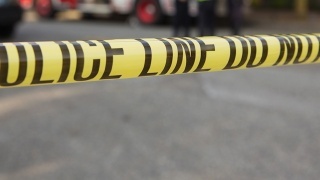 The California Department of Social Services on Thursday said an 8-month-old boy was found dead Wednesday at a daycare facility in Napa. The Social Services was notified Thursday of the death and is investigating it with Napa County authorities, Weston said. Napa police said the boy was found unconscious and unresponsive at 3 p.m. Wednesday at a licensed family day care home in Napa. There were no obvious signs of trauma, and an investigation is ongoing, police said. A woman who answered the phone at the facility declined to discuss the death. The facility was licensed on Oct. 27, 2014, as a small family child care home for no more than eight children, Weston said. There have been no known recent complaints about the facility, Weston said. An unannounced inspection of the facility on July 15 found no deficiencies of regulations during the random, annual visit, according to a Facility Evaluation Report. Two adults and three minors lived in the home at the time of the inspection, according to the report. Child care services are provided 7:30 a.m. to 5:30 p.m. Monday through Friday. Anyone with information about the infant's death is asked to call Napa police detective Pete Piersig at (707) 257-9514 or email ppiersig@cityofnapa.org.